Dogs, as anyone who’s ever shared a home with one knows, are often uncannily adept at reading human emotions. Most dog owners have some story or another of a time their pet just seemed to know that they were feeling sad and were in need of a good cuddle. Consider Zeus, a small fluffball who noted his owner’s tears and — according to his owner’s telling — brought her an odd little gift to cheer her up. Some recent studies are now providing empirical evidence to support these sorts of owner anecdotes. Dogs really do seem to be especially skilled at picking up on what people are feeling; one study published earlier this year even suggests that dogs can recognize a person’s emotions by looking at his or her facial expressions. And, really, why shouldn’t they be able to do so? Humans and dogs have co-evolved over many thousands of years (some theorize that the human-canine bond began 16,000 years ago; others say it’s more like 30,000). It makes sense that during that time, we’d have established some form of cross-species communication. As the studies are piling up, it seems like a huge piece of that common language are our expressions — that is, our ability to read the emotions written on each others’ faces. 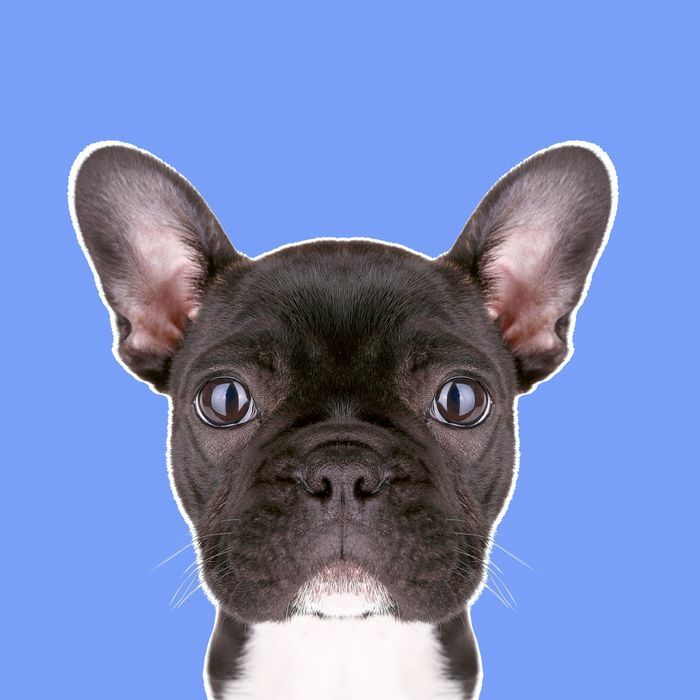 Research in DogFACS only began a few years ago, but scientists have so far identified 11 action units (AUs) — that is, movements of facial muscles involved in expressions. They’ve also noted five Ear Action Descriptors (EADs), because ear movements are also an important part of dogs’ facial expressions. So that’s 16 independent facial and ear movements, which sometimes appear solo and sometimes combine to form distinct facial expressions. The point of FACS in dogs and humans (and apes and cats and horses, for that matter, all of which have their own FACS) is to have an objective way to describe what a face is doing, something that becomes incredibly important when studying animals to avoid unfounded anthropomorphism. So far, there has been just one study published that places DogFACS in a real-life context (but is it ever a good one). In an experiment, Kaminsky and her colleagues filmed 27 dogs at a shelter, recording their interactions with a stranger. The researchers also acquired adoption information from that shelter, so that they could track how quickly each of those dogs found homes. Only one facial expression correlated with speed of adoption — what the scientists call AU101, the code for a raising of the inner eyebrows. In plain English, you might call this puppy-dog eyes. Not only was this the only expression to correlate with faster rates of adoption — the dogs who made that face more often during the brief filmed interaction found homes the fastest. If, for instance, in that two-minute interaction caught on camera, the dog made puppy-dog eyes five times, he stayed in the shelter for about 50 more days on average; if he made the face ten times, it was 35 more days in the shelter; if he made it 15 times, he’d be out of the shelter in an average of 28 days. It is not hard to imagine why this happened. That inner raised eyebrow just makes dogs look so sad, as if they are desperate for human companionship and care; it also makes their eyes look larger, and therefore more infant-like. “It’s a ‘You look like an infant baby, here, I’ll protect you,’ kind of thing,” Kaminski explained. “It’s you just look so cute, I can’t help it.” The next question, then, is whether dogs are making this face on purpose, because they’ve evolved to learn the power of cute to weaken human resolve. “So now what we’re looking at is — is this a communicative signal? Do they produce it in any way intentionally — do they produce it to manipulate us?” Kaminski said. These misunderstandings matter. Children in particular, Kaminski said, tend to mistake a dog’s bared teeth for a “smile,” which is often the reason kids end up getting bitten by dogs when they try to zoom in for a hug. (Your periodic reminder: Dogs hate hugs.) For example, to a kid, it could kind of look like the dog below is smiling. To the researchers who study DogFACS, this expression is the painstakingly unemotional combination of AU110 (upper-lip raised), AU109 (nose wrinkled), and AU116 (lower-lip depressed), as Catia Caeiro of the University of Lincoln explained in an email to Science of Us. It’s not that these expressions don’t work in tandem with dogs’ emotions — rather, the scientists behind DogFACS are trying to untangle anthropomorphic assumptions from the expressions, observing what sorts of situations tend to trigger each face. Eventually, emotions and expressions can be knitted together again. For now, however, Kaminski has some advice for people who wish to better understand what their dogs are trying to say through their faces. “It’s completely fine to follow your intuition,” she said. “If the bond is there, that’s based on this special relationship and this special history we have with dogs.” Scientists like Kaminski are learning the intricacies of this shared language. But people who love their dogs likely already get the gist.